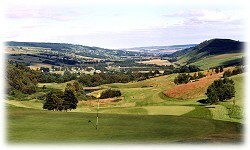 Strathpeffer Spa/Dingwall: This course is somewhat hilly, but the stunning scenery of the Peffery valley more than compensates for the climb. There are plenty of interesting holes and opportunities to stop and catch your breath on the way round. The course is 18-hole, par 64 and open all year. Telephone: +44 (0)1997 421219. Distance: 24 miles from the hotel.